The issues on recalled Toyota models, like the Prius and others, are nearly all fixed according to Toyota. Image from Wikimedia Commons. Toyota has announced that the company has fixed nearly all of the problems that led to the recalls by the automaker. There were a series of Toyota recalls, which led to outrage at the popular automaker. The company has also come up with a fail-safe, which is reported to put a stop to unintended acceleration. Self-accelerating cars were the problem that led to recalls and outrage. 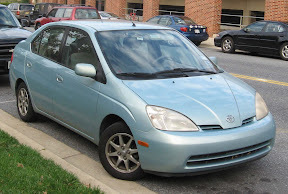 Toyota recently announced that the recalled vehicles are nearly all fixed. According to USA Today, the car maker had upwards of 5 million repairs done in 15 recalls. Of those recalled vehicles, almost 3.9 million have been fixed. The Toyota floor mat recall is over 58 percent complete. That recall affected 5.4 million cars. The sticky gas pedal, which affected 2.3 million cars, is almost 80 percent complete. The faulty brake pedal on 148,000 Toyota Prius and Lexus models, due to a software glitch, is over 86 percent complete. Though Toyota is almost done fixing these faulty cars, there are still pending investigations by the National Highway Traffic Safety Administration. Toyota also has a new idea that may prevent a runaway car scenario from happening again. The company will be installing a brake override system. There are already brake overrides on 8 of 10 models manufactured under the Toyota, Scion and Lexus banners. The override kicks in if the computer senses something wrong. Should the driver be trying to brake too suddenly, or try to slow the vehicle down in a way that might be construed as panic, the computer takes control. Toyota has also augmented its accident recorder system. Toyota has been painted somewhat of a villain over the last year. Unintentional acceleration is a scary thing for a driver to experience. Toyota has been diligently working to repair the vehicles affected. The company also wants to make sure the recalls don’t repeat themselves, and customers feel safe in their Toyotas.